Mute Soundproofing® was commissioned by Touch Surgery to design and install a retrofit, sound absorptive solution for 4 meeting rooms. The meeting rooms are frequently used for TV and teleconferencing, therefore, the acoustic conditions must facilitate undistorted communication; requiring reverberation times of approximately 0.5 seconds. 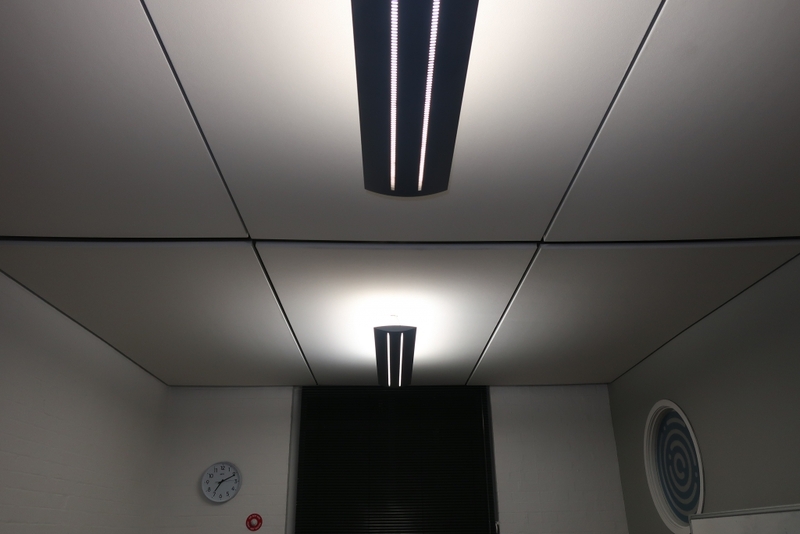 The meeting rooms feature multi-barreled ceilings (ill-suited to a comfortable acoustic environment) and ceiling-suspended track lighting. 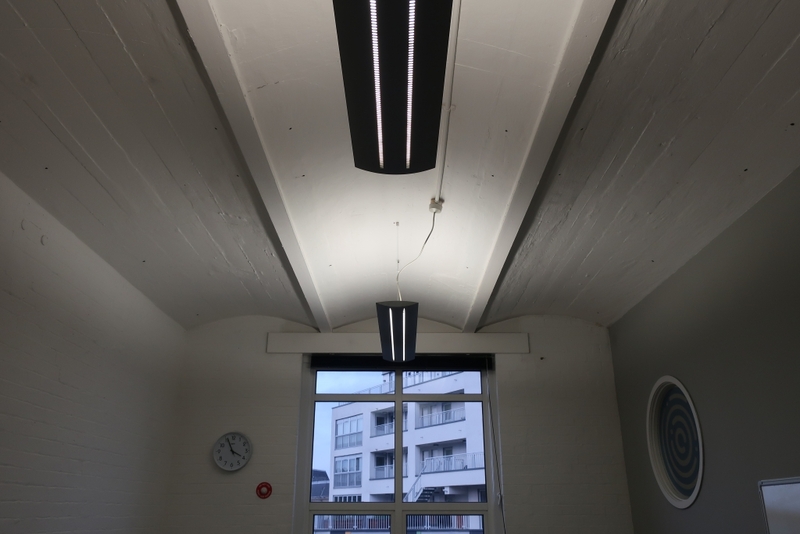 With these features in mind, Mute delivered a solution employing ceiling-suspended, acoustic panels, to improve meeting room acoustics. This entry was posted on Friday, November 3rd, 2017 at 2:00 pm	and is filed under Soundproofing News. You can follow any responses to this entry through the RSS 2.0 feed. Both comments and pings are currently closed.